The strong McKennaii mushroom will open visual doors for you. Let it take you on a colourful, cheerful roller-coaster ride. 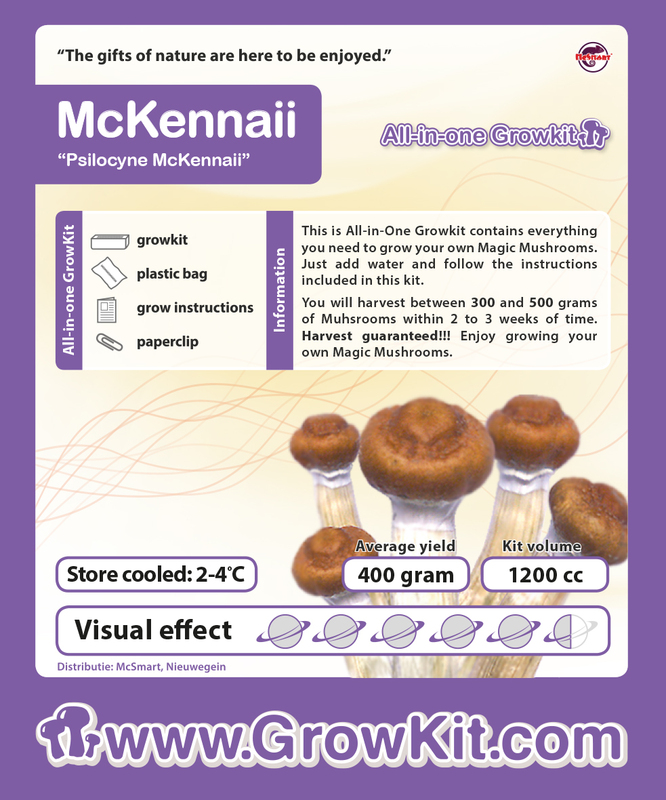 Grow your own McKennaii en enjoy the unforgettable experience. A stronger trip among GrowKits doesn’t exist. The grow kit is available in 250cc, 1200cc and 2100cc. With the 250cc you grow on average a total of 100 grams. With the 1200cc, this is 500 grams and having the 2100cc, this about 1000 grams. When cooled you can store the kit up to 6 months. Outside the refrigerator the kit has a limited shelf life.